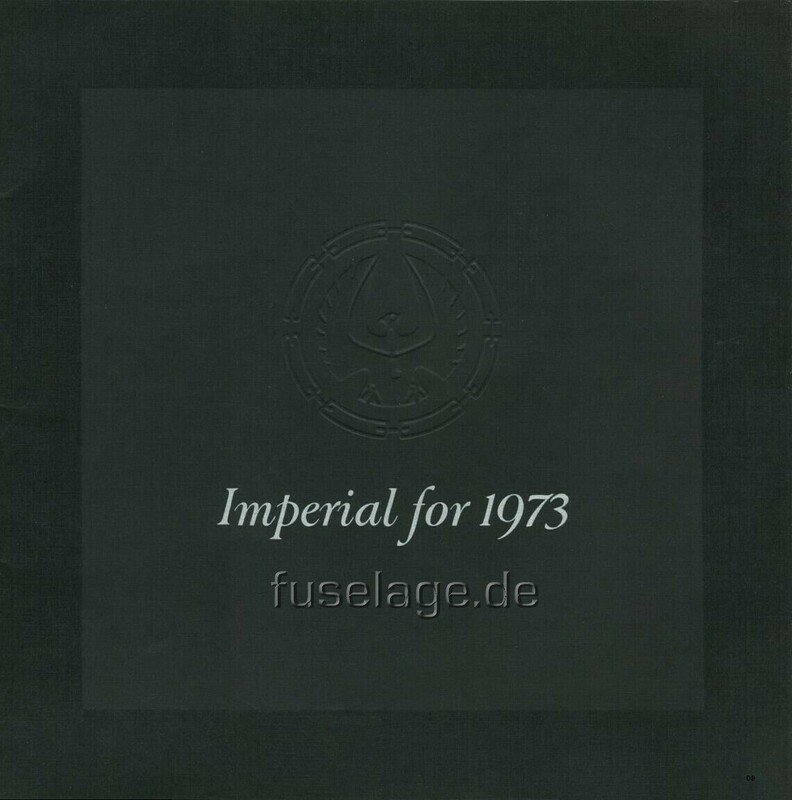 The Imperials for 1973 saw little change from their '72 predecessors. 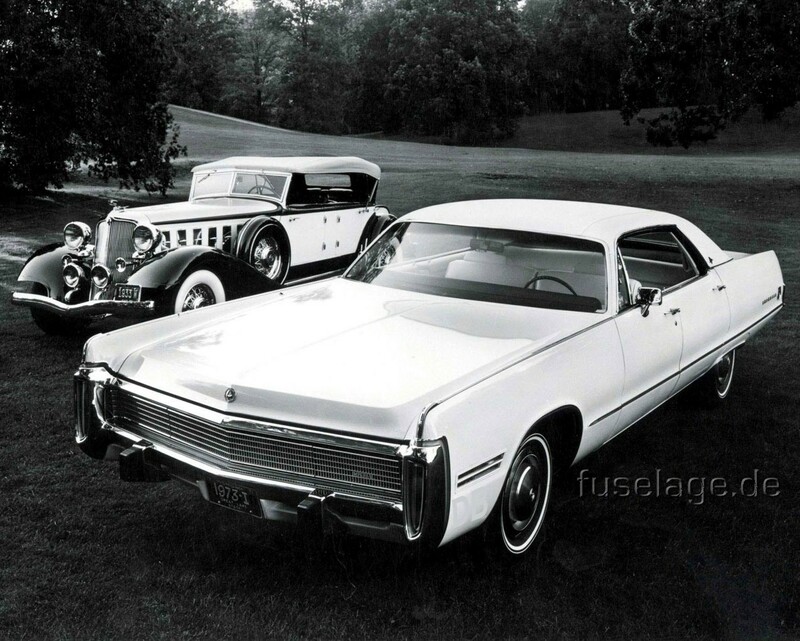 The lineup still consisted of the LeBaron two-door and LeBaron four-door hardtop. 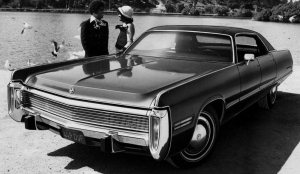 The grille had a somewhat finer mesh and the tail lights sported an almond-shaped chrome trim instead of previous year's vertical chrome strip. 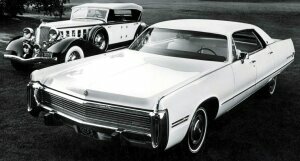 The bumpers featured elastomeric bumper guards that were a concession to federally mandated impact protection standards (and could be found on all 1973 full sized cars from Chrysler Corp.) As usual on Imperial LeBarons, the vinyl roof came standard. 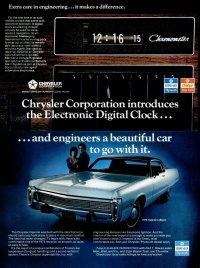 The four-wheel "Sure Brake" anti-skid braking system introduced in 1971 was still available as a $ 344 option. 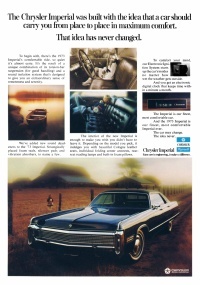 Imperial sales increased slightly in '73 so that 14,166 four-doors and 2,563 two-doors were produced. 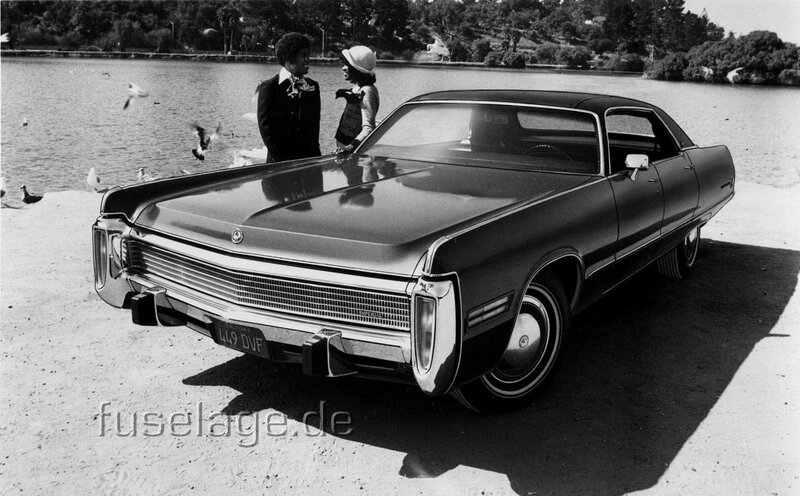 With this press photo Chrysler obviously referred to earlier, more glorious times to convince potential buyers of the exclusivity of the 1973 Imperial models (Thanks to Hans Tore Tangerud). This press photo was targeted to a new group of buyers. 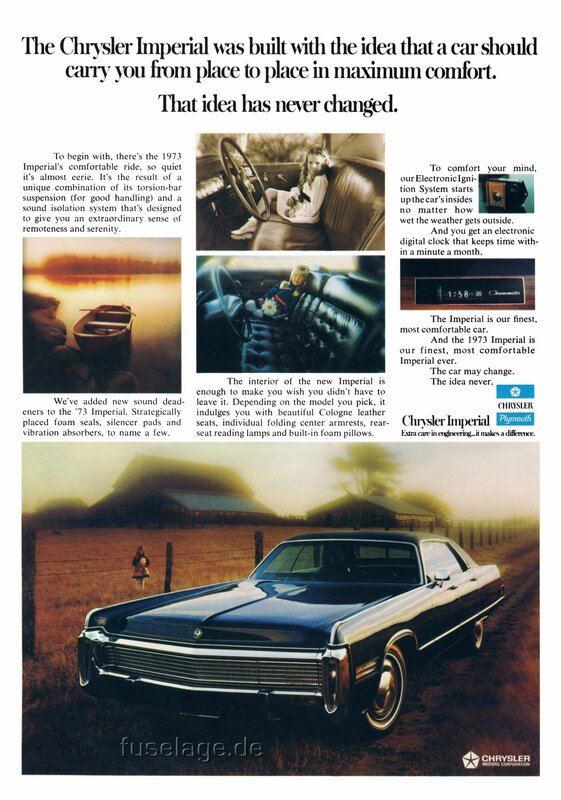 This was an ad for the 1973 Imperial which shared the same theme and layout than the advertisements for the 1973 Chrysler. 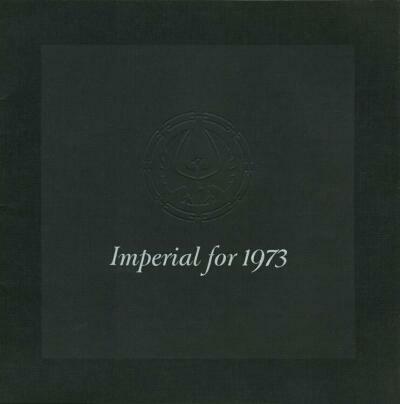 It emphasized the comfort the Imperial offered to its passengers. 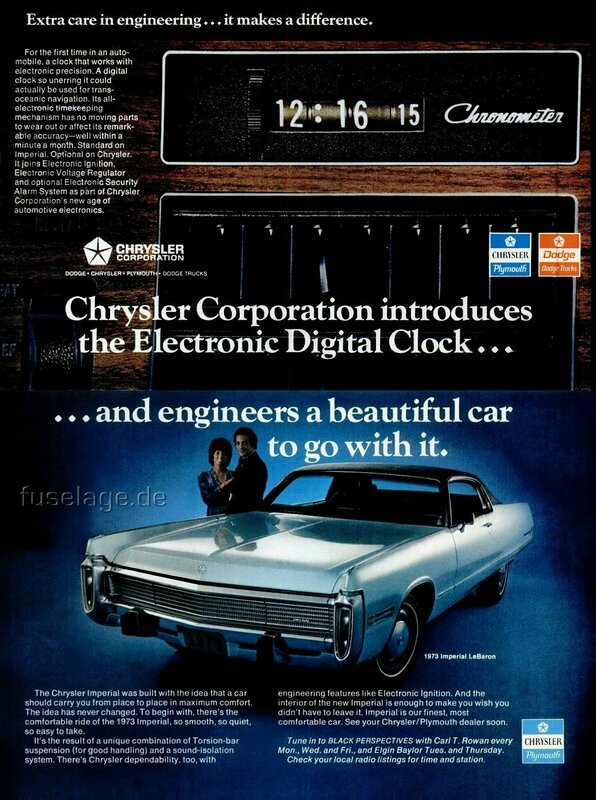 This ad promoted the new "Chronometer" electronic digital clock that was standard in 1973 Imperials.